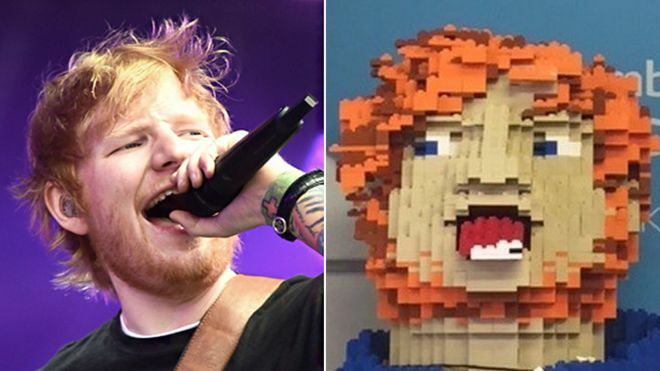 Ed Sheeran has donated a life-sized Lego model he made of his own head to his local charity shop. Staff at St Elizabeth Hospice in the singer's hometown of Framlingham, Suffolk, praised the brick bust as an "incredible" donation. Sheeran also donated a record player, skateboard, headphones, school books and Heinz tomato sauce memorabilia. "He's been really generous - every now and again he has a clear out," said hospice spokeswoman Helen Owen. She added: "As Framlingham is his local shop, he thinks of us. "Normally it is a few jumpers and Hoax T-shirts he wears on tour, which are great, but this time we got the head." Ms Owen said it was "really lovely" that the Lego model "is of him, [and] made by him". The charity is considering what to do with the Lego model, but said it may display it at its Ipswich hospice before possibly auctioning it. 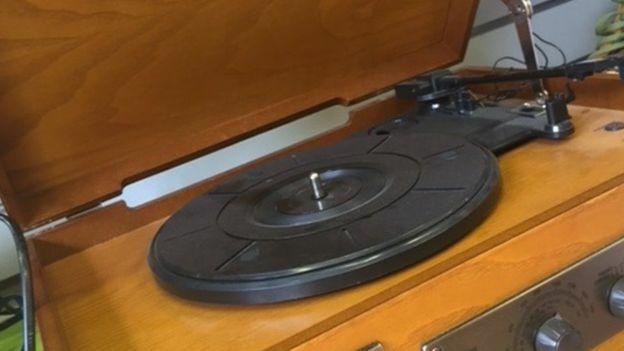 It has previously sold the singer's items online, but is still undecided how to sell his other new donations because it wants local people to benefit from his generosity. Sheeran's mother Imogen has made regular donations of handmade jewellery to raise funds for the hospice, with Ms Owen saying the charity was "really grateful to the whole family".